This bodysuit is a serious wardrobe staple girl. 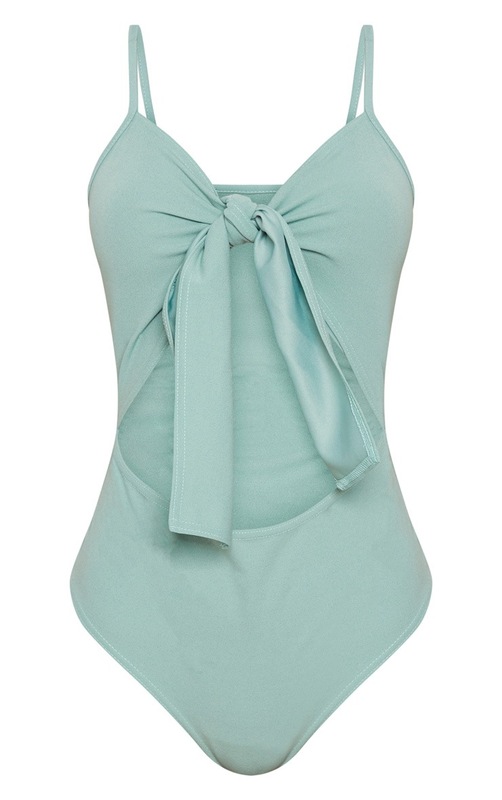 Featuring a pastel blue crepe material, tie detail, plunge neck and sultry cut out detail across the stomach area. Team with white flare trousers, strappy heels and finish off this look with pendant necklace.